Record-breaking heat brought the September harvest to a standstill last week. 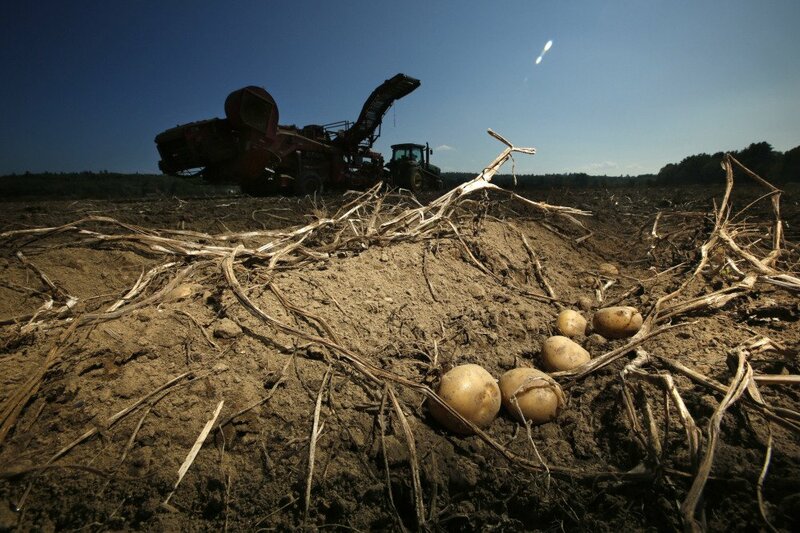 CARIBOU — Maine’s potato growers are hustling to make up for lost time after the September harvest was brought to a virtual standstill by record-breaking heat last week. 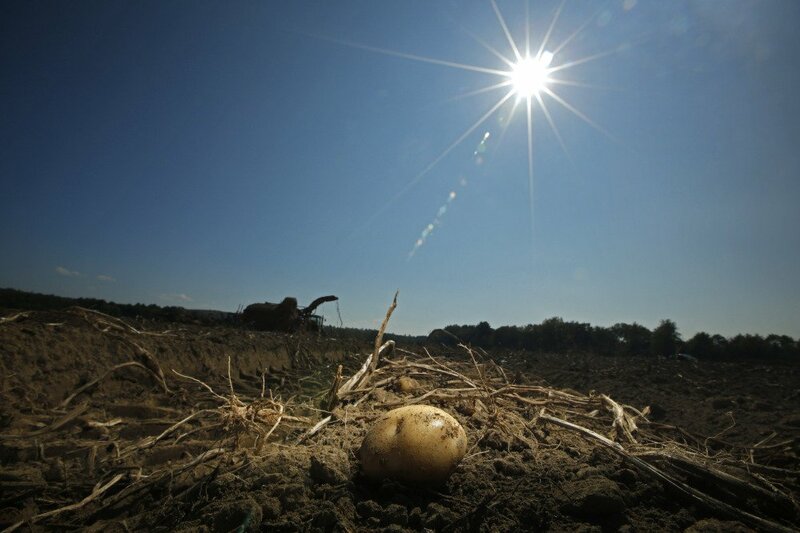 Hot temperatures can cause quality problems for potatoes going into storage, and the region basked in temperatures in the 80s for four consecutive days, the hottest stretch ever recorded this late in Caribou. The stretch included back-to-back days of 88-degree heat. “I’m 62 years old and I’ve been in the potato business all my life. I’ve never seen a fall like this. It’s amazing,” said Don Flannery, executive director of the Maine Potato Board. Farmers cut back hours of harvesting – and some stopped altogether – potentially extending the fall potato harvest for five to eight days into mid-October, Flannery said. Cooler weather has now returned and farmers are harvesting full tilt. Maine, which has about 48,000 acres of potato fields, ranks ninth in the U.S. for potato production. Flannery said the crop quality is good, but the yield could be down slightly. Dry conditions that included a 16-day stretch with no rain in Caribou will likely have an impact on the yield, said Gary Keough of the New England field office of the U.S. Department of Agriculture’s National Agricultural Statistics Service. The full impact of heat and dry weather won’t be known until November, after all of the farmers have completed their harvest, he said. Flannery characterized the delayed harvest as “an annoyance” but said it’s better to leave potatoes in the ground for a few days rather than risk jeopardizing them in storage, where warm temperatures can degrade the quality. Good weather on tap for the next few weeks should allow farmers to finish the harvest without further problems, he said.